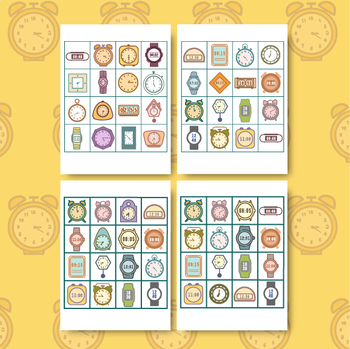 This telling time Bingo game packet has 30 random and uniquely illustrated time bingo cards (16 clocks/watches per page), and 36 calling cards to cut apart. 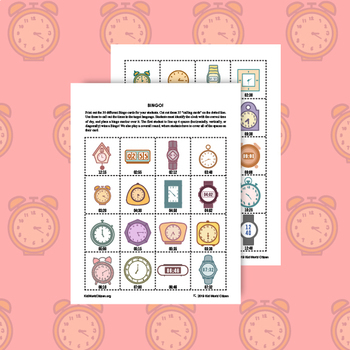 I like to print out the Bingo cards to laminate them. When they are laminated, they last for years AND students can use a dry erase marker to mark their cards. 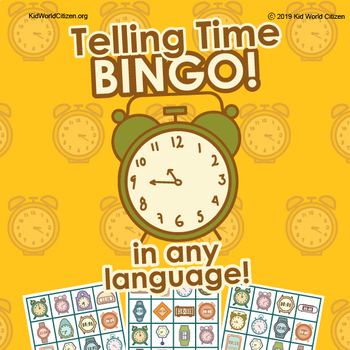 I personally use this in high school, to practice telling time in my Spanish classes or ESL classes, but you could also use this in any language, really at any level when students are learning to tell time. The illustrations are just fabulous and can be printed in color or in greyscale (but it's so cute in color- and if you laminate it, you only print it once! ).